Final week to to apply! 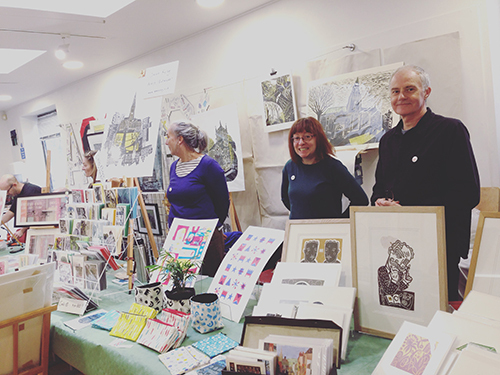 Join us and sell your work at the first Leicester Print Fair! We are excited to be hosting our first annual contemporary print event, selling original prints on Saturday 13th July, 11am – 5pm. Leicester Print Fair will showcase printmakers from across the UK, promoting printmaking in its various forms; including relief, letterpress, intaglio, monoprint, silkscreen, bookmaking and lithography. Visitors will be able to purchase work and meet participating artists. Applications are open to all, members and non-members of LPW are welcome to apply. Share your work with the world and meet other artists at our beautiful printmaking studio! Click here to download an Application Form and read the Stallholder Information. DEADLINE: Please submit your completed application form by midnight on Monday 1st April. Watch this space for more information about this exciting new Summer event!